The Revealing Cooperation and Conflict Project is a scholarly initiative that re-examines historical cases of medieval and early modern Jewish, Christian, and Muslim interaction as well as an activist endeavor intent on buttressing humanistic reflection within academia as well as the general public. Our humanistic endeavor re-centers the purpose of connective technologies and tames them to serve fundamental human questions relating to religious and cultural identity and beliefs, human networks and relationships, and interfaith violence and collaboration. 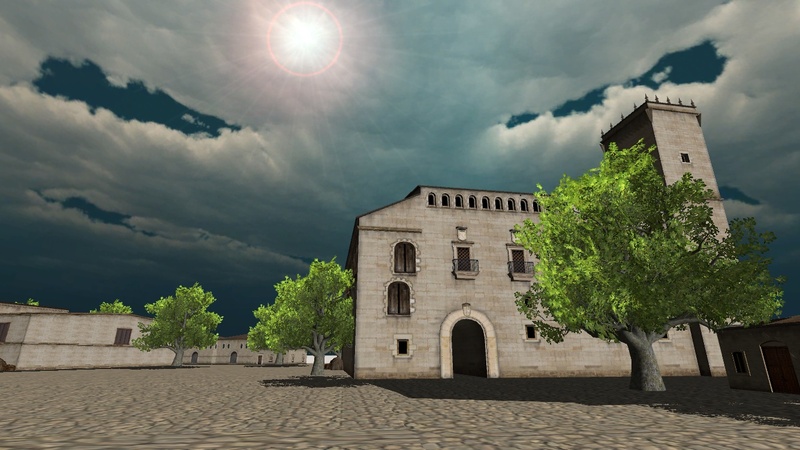 Specifically, we are developing Virtual Plasencia, an Internet-deployed 3D world and educational initiative that engages scholars and the public in a vigorous evaluation and dialogue on cooperation and conflict in the Spanish community of Plasencia (1300-1600 c.e.). This community, the first of several cities we will recreate, is of universal interest because its residents of different faiths and social classes labored and struggled to maintain intercultural respect and cooperation just as Europeans were growing increasing hostile to Jews and Muslims and intolerant of assimilated minorities (converts to Christianity). Virtual Plasencia is more than just a visually-compelling, data-robust, and historically-lush digital world that entices and supports debate and discussion – it is an explicit recognition that we, scholars, must deliver more publically engaging products than traditional print academic monographs. If we are to compete for online “hearts and minds” in a successful manner, we must excite the public using mediums such as our Massive Open Online Course (MOOC), “Deciphering Secrets: Unlocking Manuscripts of Medieval Spain”. This no-cost online course offered on Coursera.org during summer 2014, attracted over 10,000 “citizen scholars” from 140 nations who specifically studied the intercultural history of Plasencia, learned basic paleography skills, and assisted in the transcription of 600 pages of historical manuscripts. More importantly, our robust student body included persons of all ages (18-70+), men and women were equally represented, and 75% already held at least a bachelor’s degree.Since completing the course, almost 1,000 former students have joined our citizen scholar effort where they will learn more about Plasencia, assist with manuscript interpretation and analysis, and participate in ongoing Internet-based collaboration using Virtual Plasencia. With Virtual Plasencia Version 1.6 completed, a proof-of-concept virtual world that details ten manuscript-derived case studies of interfaith co-existence, our team is ready develop Version 2.0. Our team of geovisualization experts, historians, geographers, linguists, and computer scientists from the U.S.A., Switzerland, and Spain is preparing to develop this new version that support multiple ends. 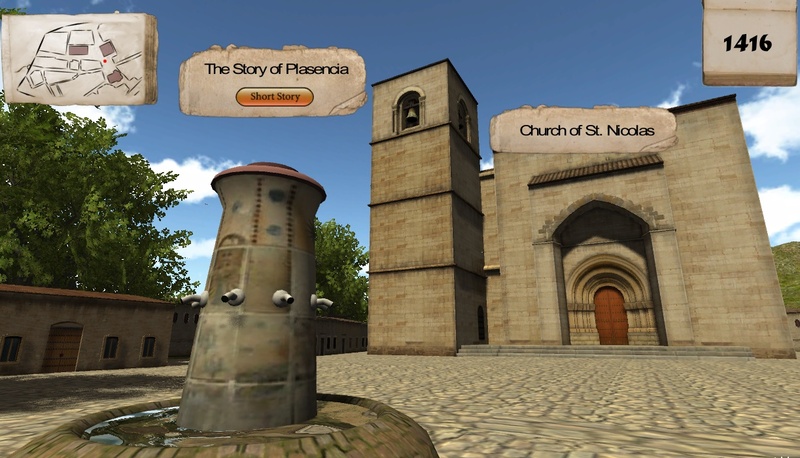 These include a virtual world that (1) expands the city to include Muslim, Christian, and Jewish neighborhoods in the Plasencia; (2) delivers Internet-based education materials, video lectures, short films, text stories, and manuscript images (Youtube and other existing platforms); (3) integrates the virtual world with social media (i.e. Facebook, Twitter); and (4), most importantly, supports users’ exploration of the virtual world as “avatars” who can interact with one another (individually and in groups) as well assist with collaborative research tasks. Our endeavor will be permanently hosted and supported by the University of Texas General Libraries as a part of its digital collection. Please see our project’s Declaration of Cultural Collaboration, Tolerance, and Scholarly Responsibility. El proyecto En busca de la cooperación y del conflicto pretende fortalecer tanto las Ciencias Humanas como incentivar la imaginación pública por medio de la creación de Plasencia Virtual, un mundo digital visualmente llamativo que incorpora una gran abundancia de datos históricos. Nuestra labor creará un paseo virtual en 3D a través de una parte fundamental de la ciudad amurallada de Plasencia (España) que hará posible conocer mejor las interrelaciones entre judíos, cristianos y musulmanes. Nuestro objetivo es reconstruir tanto los procesos de cooperación como de disputas que surgieron durante un período que alternaba la integración intercultural y la violencia en España y en Europa. Realizaremos el modelo en 3D por medio de la transcripción y de la indexación de datos tipo censal, como los que se reflejan en el Libro Primero (1399-1453) de las Actas Capitulares de la Catedral de Plasencia. El proyecto reúne a expertos en geovisualización, historiadores, geógrafos, lingüistas e informáticos de los EE.UU., Suiza y España, y con un carácter más global se permitirá la participación del público docto en la materia. Nuestro mundo digital ofrece un portal de Internet para facilitar el acceso al público en general y además contiene un soporte de datos de libre acceso para los investigadores. Este proyecto es la puesta en marcha que servirá para completar un trabajo en equipo más amplio con el fin de definir cuestiones de identidad y de cambios sociales entre los siglos XIV y XVII. Por favor, véase nuestra Declaración de la colaboración cultural, la tolerancia y la responsabilidad académica.